In past articles I have shown many dramatic smile makeovers involving a combination of disciplines and techniques. This issue I wish to highlight what modern dentistry can do for a common problem. The solution is quick, comfortable, and cost-effective. Many of us grew up at a time when preventive dental techniques were few and not readily available. We have fillings, lots of fillings. Some are in front teeth. As these fillings age they discolor, chip, and/or leak. The margins of these fillings microscopically pull away from the tooth allowing staining fluids and bacteria to enter the inner portion of the tooth under the filling. This is how decay occurs under old fillings. Simply removing the old discolored fillings and replacing them with the appropriate tooth-colored filling material strengthens the tooth, prevents tooth decay, and improves the smile. 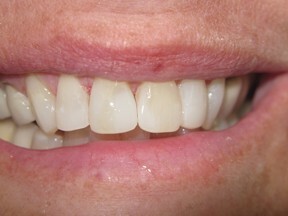 In the case shown here, a little tooth reshaping was also done using the same filling/bonding material to enhance the result. advancement in the chemistry of these filling materials in the last decade. Dentin bonding is perhaps the most important advancement. These filling materials now chemically adhere, bond, to not only the outer enamel layer of the tooth but the inner dentin as well. A stronger connection and better seal occurs. Most front teeth are filled with a light cured (hardened), BIS- GMA based resin. Within the base matrix there are small glass particles that greatly impact the properties of the material. The quantity and size of the “filler” particles accounts for differences in strength, polishability, wear resistance, light reflection, as well as handling properties. The introduction of the tiniest particles, nanoparticles, has given dentistry a material which has the luster of natural enamel and much more resistance to surface stains. It is a challenge to keep abreast of advances in this area. This is why it is so important for a dentist to be committed to continuing education. Composite resins are a wonderful filling material for both front teeth and the molars. The compressive strength of resins now equals that of the metal silver fillings. The tooth is actually strengthened by the bonding of remaining healthy tooth parts. 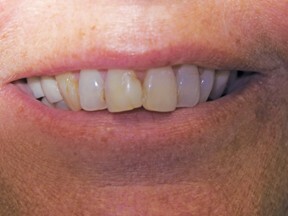 Silver fillings and the first generations of tooth colored fillings merely filled in the space left from decay removal. Before modern bonded fillings the dentist needed to remove healthy tooth structure to create undercuts or mechanical locks to retain the filling material. Old silver fillings required this type of retention. Composite resins are more conservative of tooth structure. While composite resin and glass iomoner tooth-colored filling materials offer many advantages they are not the best choice in all situations. Crowns, veneers, onlays offer greater strength and superior esthetics. There are situations when simple replacement of defective fillings and bonding is the better choice for the patient as it is convenient and affordable. 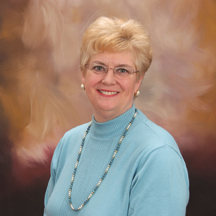 It is wonderful to be able to offer patients choices which suit their individual needs and goals.